Kellco has been serving the metro Atlanta area for over 18 years and have been able to provide outstanding control of pests, keeping our customers homes free from infestation. Our number one focus is customer satisfaction! We aim to take care of the pest problem quickly and safely and for a fair price. We have been with Kellco for over 5 years now and are extremely happy with the service, the concerns and of course the friendly and knowledgeable people that have and are servicing our home. We recently moved and the process was made easy by Kellco. We will be loyal customers for ever. Great service so far very professional. The service technicians are courteous, explaining what the application is for. These guys are good I’ve taken them with me through three moves. I used them for a termite bond and pest control. They arrived on time and thoroughly explained the process. They were also cheaper than other companies I vetted. Being local was a plus for me as well. I’d recommend! One treatment and my dogs and I stopped scratching all the time. Service and people are great! Cody does a great job of controlling our mosquitos! We used to be plagued by them because of the woods behind our house but I never seem them anymore! Thanks! The service was top notch.The customer service was great and friendly. The work was very professional. Love this company and its employees. I appreciate their work ethics and they are very thorough at what they do. I also like the fact that they give you a call the day before they come to your home. Quick to respond and took care of my yard the following day. 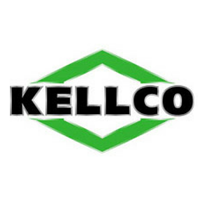 Kellco is a great company that is affordable. They respond and work with me great to get quarterly services and when needed. I believe I am going to need my yard sprayed for ants, fire ants, etc. What kind of costs am I looking at? Don't know when, but the ants are biting me and my dog. very professional techs - thorough with everything - good at explaining just what they needed to do and did. I am basically happy, but I am not sure whether I should be or not. I receive no communication from Kellco other than a yearly renewal bill. Are you inspecting the termite control stations periodically? If so, what is the result? (Or am I to assume that no news is good news?) I don't like assumptions; I like communications (that are not spam). If the previous HOA Board member opted out of these emails, please opt me back in. Thanks. Prompt, courteous and friendly- hope mosquitoes stay away- too soon to tell. Professional, friendly staff and product that works!!! I love my technician. He's awesome, and the service can't be beaten. Thanks, Kellco! Have had Richard doing our mosquito spraying for 2 years and he is always there if I have any questions and both he and his workers are always very courteous and respond quickly, which is rare today. Working with Kellco has been a great experience. Their communication is great and they always do what it takes to take care of us. Hello is a good company. The service man comes and sprays for mosquitos making our front and backyard mosquito free for the whole season. Am awesome service! Reliable, on time and it’s heaven to sit in my backyard without being eaten by mosquitoes. Highly recommend!! Your overall performance is excellent. You return telephone call on a timely basis, and you show up for service to your client at the time that you promise. Keep up the good work. Great service and good people. Great company! Responsive, caring and knowledgeable. I highly recommend them. We are thrilled with Kellco! They serve their customers with integrity and compassion. We also love that it’s a family owned business. This has meant much more personalized service for us. Have had very few, but manageable, bug problems since starting with Kelco. Great customer and tech service. The solution they use works and is safe for my pets. Very professional. Thank you so much. Since I have been working with Kello Termite, I find their organization to be reliable and professional. I have a rental property for which Kello is the service provider. I am please with their follow-up procedure and recommendation. Their service is also competitive. Excellent service provided by the technician. Super nice guy, very careful and explained everything with a flair for customer service. I have used Kellco for years and have always been satisfied. Richard is great. As a professional in the construction industry it’s great to have a company that the sales personnel is also your service person. Very knowledgeable. You all are great! Thank you. Best pest control company I have ever used. Staff is friendly and courteous. Always takes care of any problems correctly the first time. I'll never go anywhere else!